You want to live in full colour. You gain inspiration from the larger-than-life landscapes of Van Gogh, the dazzling displays of Joseph’s Technicolor Dreamcoat, and the wonderful worlds of Walt Disney. You may be an artist with a paintbrush or just with your iPhone, but the fact is, colour practically runs through your veins. And even if your skills are more in line with Instagram than the Royal Ontario Museum, we’ve picked out the sorts of places that can turn anyone into an artist: the most colourful cities in Canada and the United States. 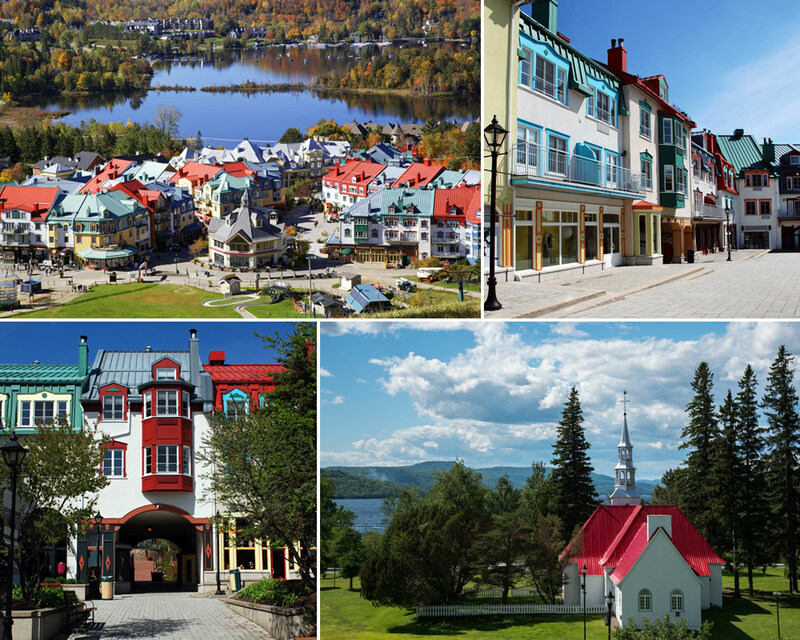 Mont Tremblant’s picturesque ski village is gorgeous year-round, and there’s plenty to do in any season. 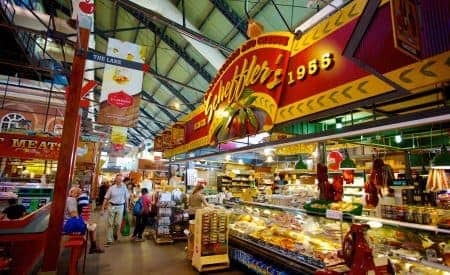 Drink in the bold reds, blues, and yellows as you shop ’til you drop and dine on delicacies in the Pedestrian Village. Hit the beach, or tour some of the town’s unique architecture, like the red-and-white Chapelle Saint-Bernard. Turn on your panorama option and get ready to snap away—there’s no shortage of photo ops in Mont Tremblant. Leaf peeping? Forget about it! In Sussex, the colours take to the sky each year during the Atlantic Balloon Fiesta in September. 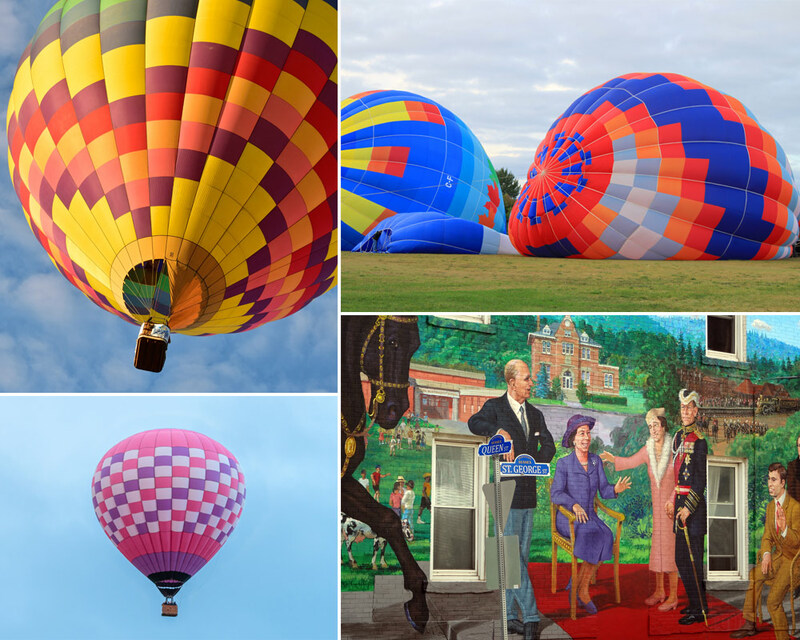 We’re not full of hot air, although the balloons will be—this extravaganza is “Atlantic Canada’s most colourful festival.” Can’t make it for the fiesta? Lucky for you, Sussex is also the Mural Capital of Atlantic Canada. Ponder all 27 magnificent murals on the Sussex Murals Walking Tour and max out your collage feature on Instagram. Bright boats bob on blue waters, against a backdrop of perfectly pitched purple, red, and blue buildings…yes, there’s no denying that Old Town Lunenburg is one of the most colourful cities in the world. This UNESCO World Heritage Site is still home to many original 18th-century buildings. 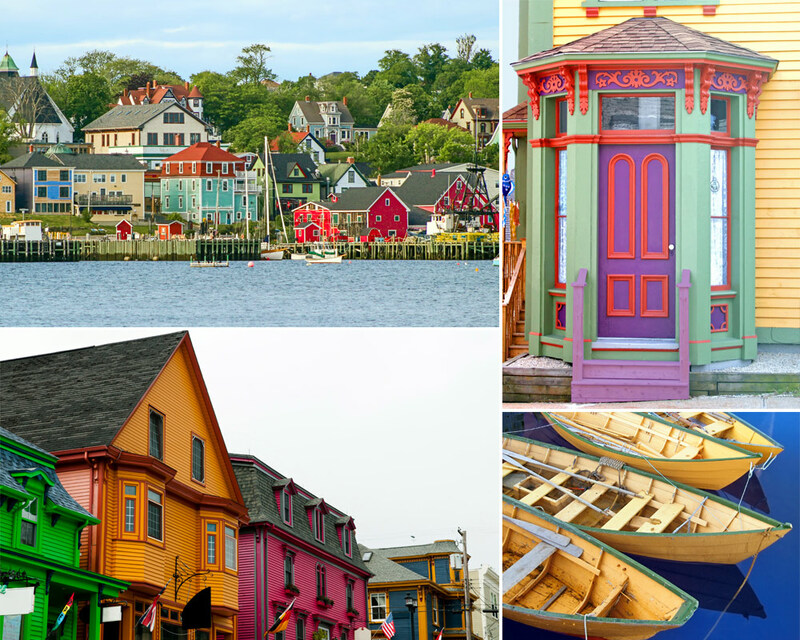 Wander the wharfs and alleys with Lunenburg Walking Tours for a taste of history and an eyeful of architecture that seems to have come straight from a painter’s palette. Or, soar on the “wings” of a Star Charters sailboat to see the harbour the way it was meant to be seen—from the water. Louisbourg gives Lunenburg a run for its money when it comes to painted old towns and Maritime vibes. The Fortress of Louisbourg appears like a colouring book a child is slowly filling in: the red shutters of the barracks and sunshine-yellow Frederic Gate pop against the typical “fortress grey” you’d expect. In town, feast your eyes upon charming Louisbourg Wharf, with its lively lobster traps and fishing boats, then feast for real on colourful crustaceans at the Lobster Kettle restaurant. It’s all the charm of the Maritimes, without the crowds. The artsy atmosphere of America’s southwest is well-known, and Arizona is one of the most colourful states in the USA. In the hamlet of Ajo, the residents have painted the town red—and blue, green, pink, and orange. 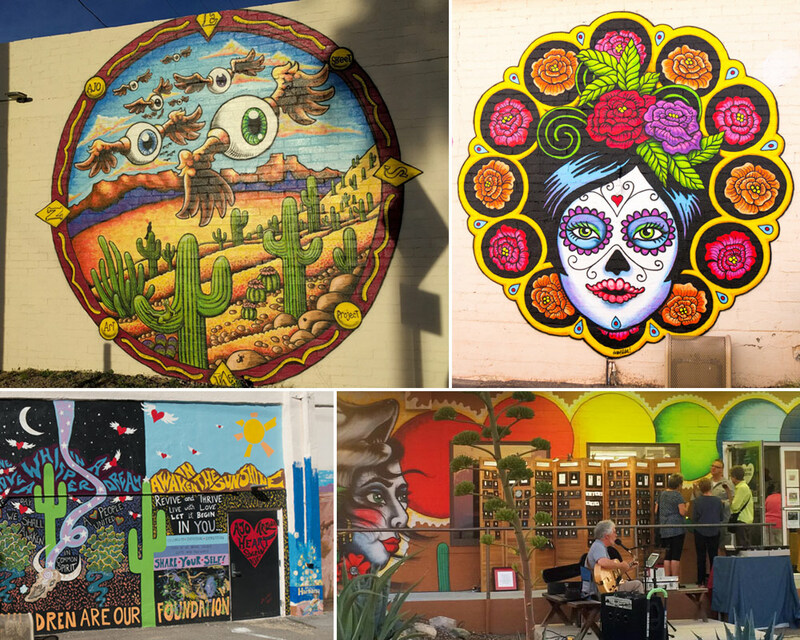 Take the Ajo Art self-guided tour to see murals like “Spy Drones Over Sonora” and “Girl with Painted Face Surrounded by Flowers” by Mike Baker and “heART of the Desert” by Kat Anderson (pictured here). Then follow the neon arrow to Granny’s Restaurant for a satisfying meal. Ever experienced synesthesia? This is probably as close as you’ll get. 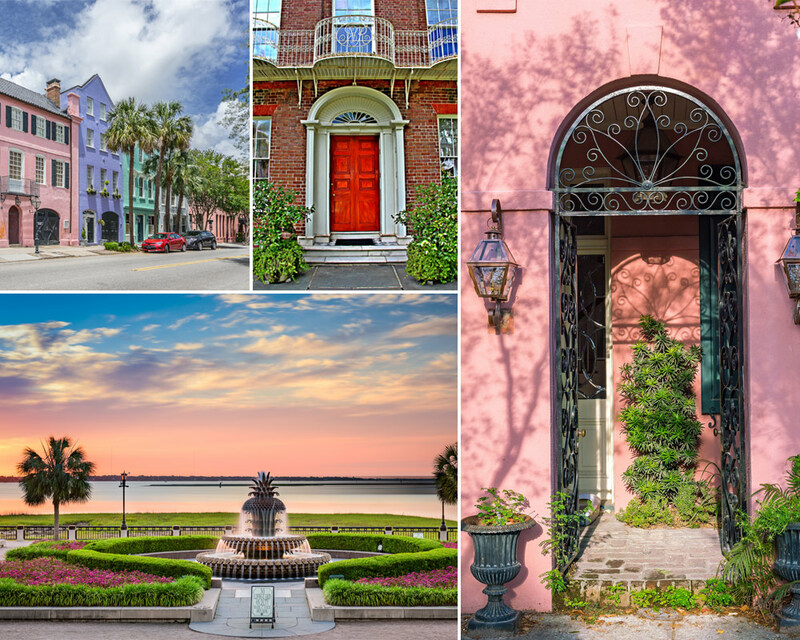 Charleston is one of the most colourful cities in the U.S.—if you know where to look, you’ll find pops of pigment all over town. The red accent door of the Nathaniel Russell House gives way to interiors of rich turquoise and gold; in Waterfront Park, the muted pastels of the Pineapple Fountain against a glowing sunset would inspire Monet himself. But the city’s most famous flashy attraction is Rainbow Row, a block of colonial row houses painted gorgeous pinks, blues, and yellows. 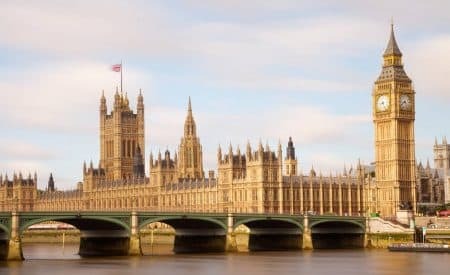 Free Tours by Foot can tell you all the history behind it—and some of the rumours, too. 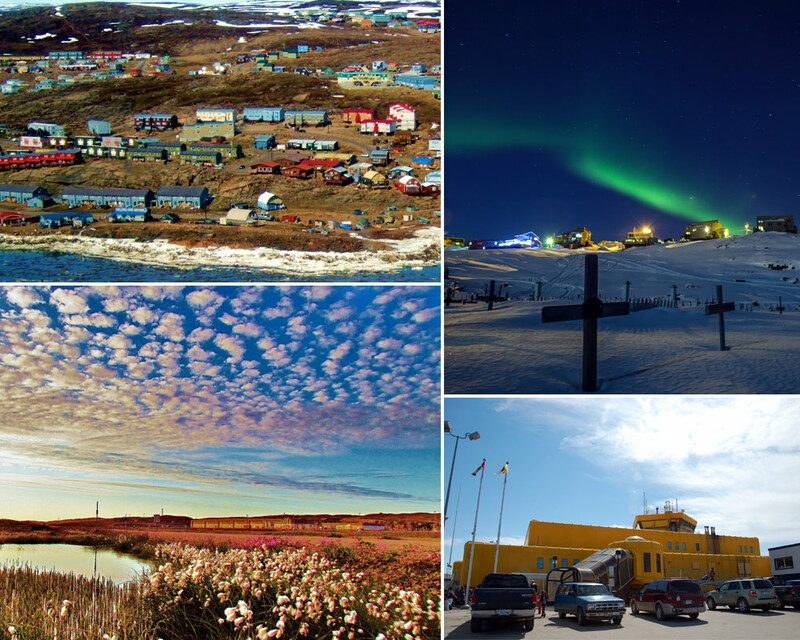 In eastern Nunavut, hundreds of kilometres from the next major city, lies one of the most colourful towns in Canada: Iqaluit. Surprised? This multicoloured skyline seems to rise from nothing, but it’s quite intentional. In fact, you may see a theme along Queen Elizabeth II Way: cheery yellow! You’ll find it in the red-and-yellow Qamutiq building, the blue-and-yellow Royal Bank of Canada, and the chipper, all-yellow airport. There’s colour in the sky here, too: the dazzling Aurora Borealis dance among the stars. 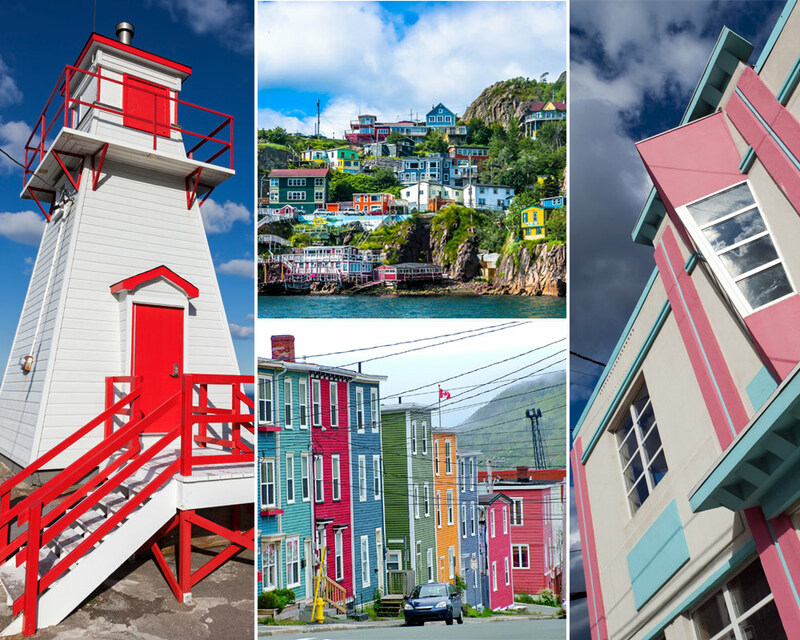 An aerial view of St. John’s is a breathtaking kaleidoscope of sky blue, hunter green, and bold red and purple. The vibrant shades are spread throughout town, making the hillside appear like a rainbow against the backdrop of the harbour. Most of the sights here are residential buildings—a good place to start is to take a walk from downtown St. John’s to Signal Hill. The best way to go, however, is to leave it to the pros. The Historic St. John’s Tour from McCarthy’s Party will show you all the shades of the city, and more. 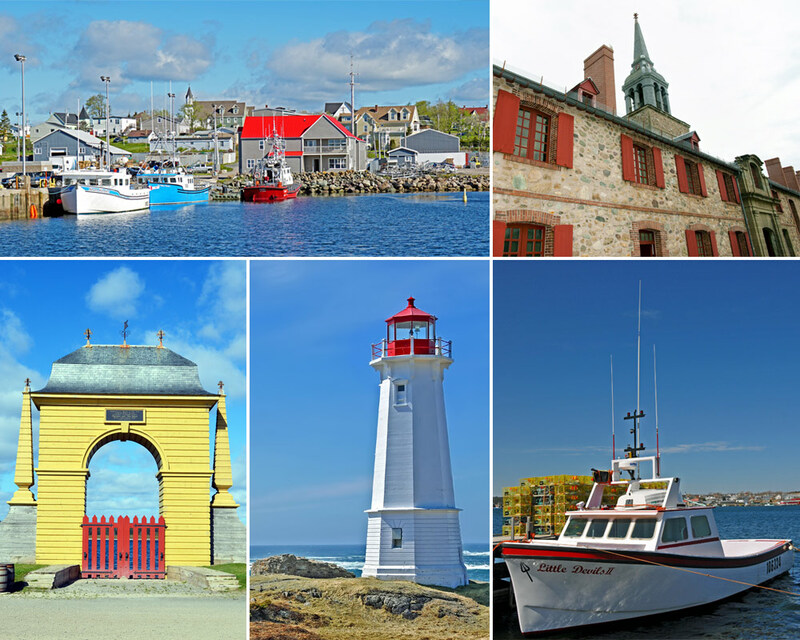 The Maritimes aren’t the only place with small-town charm and splashy hues. Looking for marvelous marinas, brilliant beach views, and spectacular sights? Port Stanley nails it on all fronts. 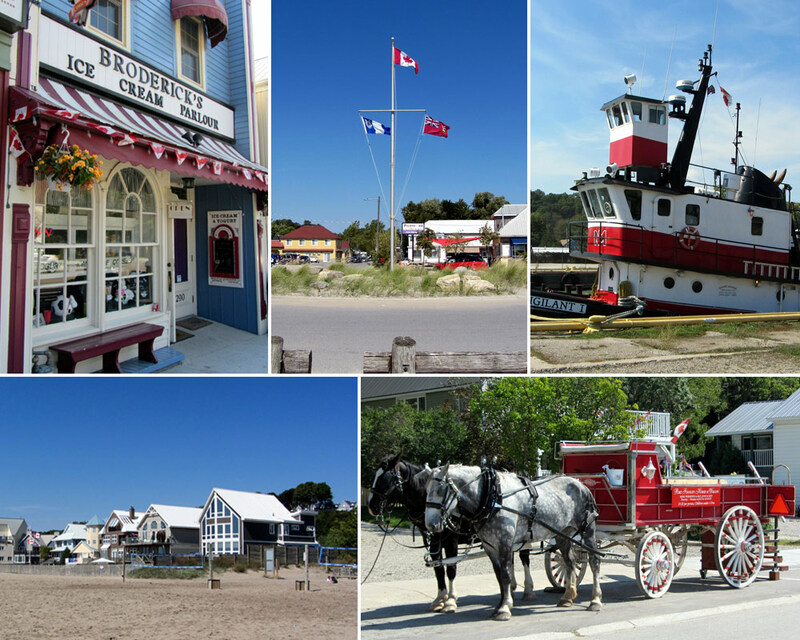 Head to the harbour to see Ontario’s version of the east coast’s maritime marvels, then stroll along the sand past cheerful beach houses. You’ll reach GT’s On the Beach, where the blue and yellow umbrellas beckon you in for a drink. Later on, let your eyes lead the way to the pastel façade of Broderick’s Ice Cream Parlour—where the treats are just as colourful as the rest of the town. 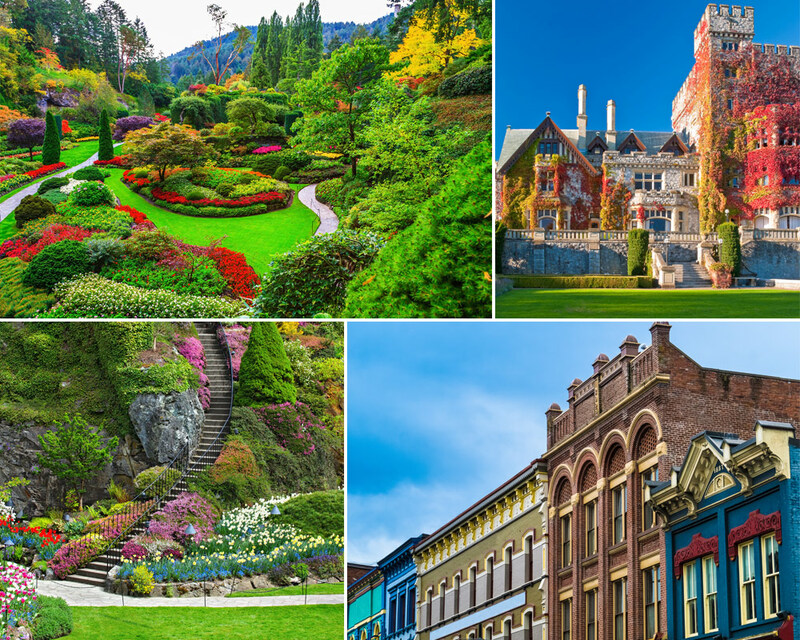 Victoria is a city in colour, and here, variety is the spice of life. In Butchart Gardens, the Sunken Garden is so dreamy, you’ll expect to see fairies flitting about. Return to the real world at Lower Johnson Street (aka LoJo), where you can snap some pics of the vibrant Victorian buildings, visit Bastion Square Sunday Market for a dose of locally made art and jewellery, and lunch within the red-and-yellow walls of The Drake Eatery. Want the historical low-down? 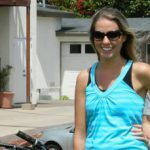 Sign up with Come See Victoria for the History & Architecture Tour—or the Historic Pub Walk, if that’s more your style. 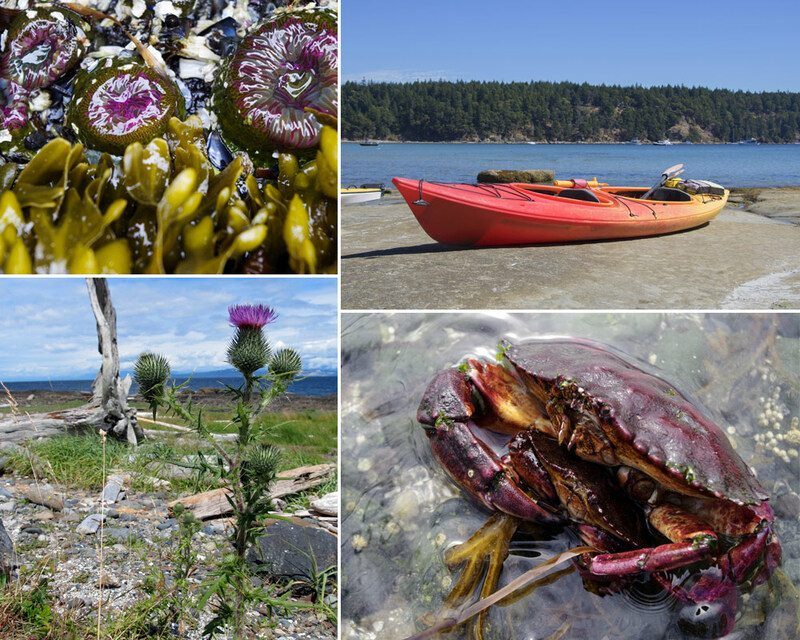 If it’s the colours of nature you seek, you’ll find them in droves on Hornby Island. Here, it’s all about the details. The tidepools and beaches at Tribune Bay Provincial Park provide a palette that would put Crayola to shame: red crabs scuttling across the rocks and purple sea anemones gently swaying in the waves. Float on the turquoise waters of Tribune Bay Beach in an equally vibrant inner tube or kayak—or sign up with Hornby Island Ocean Adventures for a full tour of the sights, including the famous red roof of Chrome Island Lighthouse. Colourful places aren’t just about historical buildings and natural landscapes. 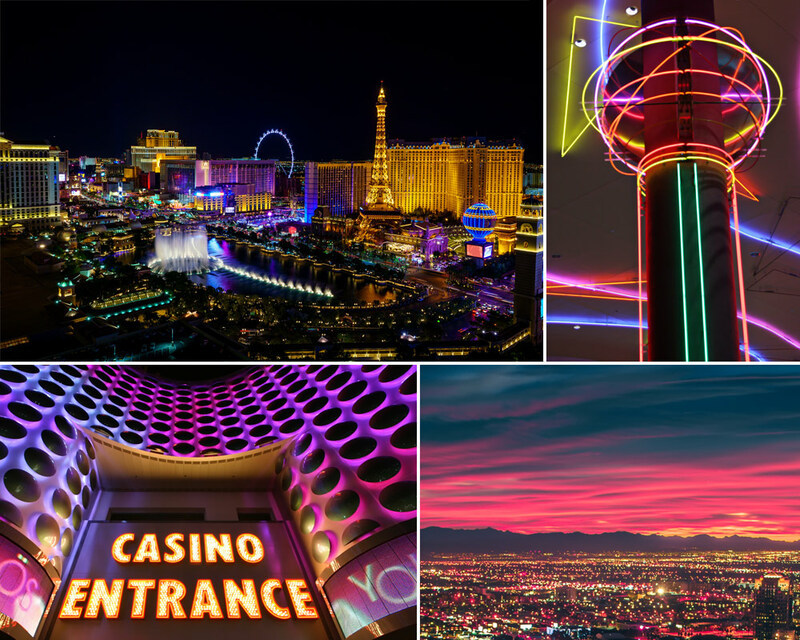 In Las Vegas, it’s all about neon, neon, and more neon. The Fremont Street Experience has the world’s largest video screen, while the Neon Museum showcases the snazzy signs of Vegas’s past. Take a walk down the Strip and you’ll see the gold of the Eiffel Tower, purple of the Ferris wheel, and bright blue of the Paris Hotel’s hot air balloon. Keep the neon theme going with dinner under pink and blue lights at Peppermill Restaurant and Lounge. In Vegas, things only get brighter as the sun goes down. Between fairytale gardens and charming Maritime villages, colourful cities in Canada and the U.S. can rival anywhere in the world. Stop living your life in black and white—these places will inspire you to live in full, unstoppable colour.